Frequent Asked Questions about Timeshare & RCI Points, Vacation Clubs, Vacation Ownerships And Much More. If you are ready to resell your timeshare the last thing you need is a long, stressful process. 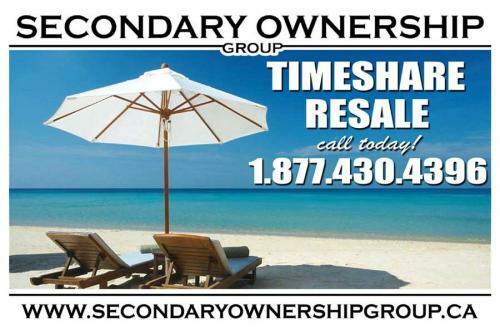 Read through these frequently asked questions to see how easy reselling timeshare can be when you work with a smart and reliable timeshare resale advertising company like Secondary Ownership Group. It’s Illegal for a U.S Timeshare resale company to resell a timeshare or vacation ownerships. Make sure you Know who can legally sell your timeshare or vacation ownership for you, and who can not. For example it is the law in the United States that timeshare & Vacation ownership resale companies, who can sell your timeshare or vacation ownership on your behalf, must be a licensed real estate broker. Whether you own a timeshare deed or lease, and whether your timeshare is in the U.S. or not, if the selling company is located in the United States then they must have a license for selling real estate. (You can tell if they are legally licensed by looking at their terms & Conditions located at the bottom of the web page.) If they are not licensed, they are nothing more than an advertising company posting an advertisement on their website. If a buyer calls them, they legally cannot answer questions about the timeshare or vacation ownership or collect a deposit on your behalf. In other words all they can do is give the caller your phone contact info and leave you to deal with them. Most people are not aware that it's prohibitive by federal law in the U.S.A for a timeshare resale company to resell a timeshare unless they are a licensed real-estate broker. Approximately 95% of the U.S resale company’s are not licensed and do not have ANY sales agents. No matter what the Agents tell you, do your homework. To determine if they are licensed, view the company's TERMS & CONDITIONS at the bottom of their websites. Here is an excerpt of the typical Terms and Conditions from the Top US websites according to the leading internet search engines. 2, “Company A" is a For-Sale-By-Owner advertising company that is not a real estate broker. The advertising program involves pooling advertising resources to maximize exposure to potential buyers or renters. 3, “Company A” forwards all inquires about my property directly to me, and allows me to negotiate the sale of my property without the involvement of any broker, and without any commission. Be very careful with what you read on the internet. The websites you were looking at would have been from the United States. In the United States it’s illegal for their resale companies to have sales agents and sell timeshare. All they can do is advertise the unit for sale. The problem with websites is when it comes to timeshares, timeshare is a product that people very rarely talk about and give little though too until they sit with a sales agent at the resort and within two hours later, walk out with a unit. Because it a product that people never shop for, people just don’t look on websites for timeshare. Our statistics show that 80% of people looking at websites are sellers, not buyers. So when looking at pricing from a US resale website, generally the ads have been on there for years. The reason they are so low is due to the years they have been on the market and the sellers just don’t think they have any value. With our agents we have, were able to build value to the timeshare just like the resort was able to do and generally sell for quite a bit more. What is my “Rescission” period or “Cooling Off” period for purchases on New Timeshares or Vacation Ownerships from the resort? Depending on country or state / province, most give a 10 day period where you can cancel the sale for a full refund. At that point you have the option to purchase the exact same ownership from Secondary Ownership Group and save 30% - %50 off your original purchase. If I Originally Purchased from a Resort Can I Resell My Timeshare? Yes! Regardless of when or where you purchased your timeshare, you are entitled to resell it. No! A timeshare is not a traditional piece of real estate. For those who prefer it, assistance is available through Secondary Ownership Group. We will assist the timeshare resellers who want as little as possible to do with the process of finding a buyer and settling on a sale price. Do I Need an Appraisal to Sell Timeshare? Do I Need a Lawyer to Handle the Timeshare Closing? You are always welcome to get a lawyer involved at any point. Here at Secondary Ownership Group we take care of all the closing for you. No one can accurately determine a specific length of time .There are many factors that will influence the resale of your timeshare including location, resort quality, flexibility of usage, season, demand and, of course, price. We found resorts we have an interest in. How do we proceed with the purchase of one or more of these resorts? Please call toll free at 877 430 4396 to set up an appointment or to speak to an agent about purchasing. The maintenance fee is an annual charge, on top of your initial purchase cost, that goes toward the upkeep of your timeshare. Your maintenance fee usually covers property taxes, insurance, utilities, cable, telephone, and all property up keep such as furniture, carpet, and the common facilities of the resort. Usually, the resort's Homeowners Association decides this fee. A transfer fee is a cost that resorts charge to transfer ownership from one party to another. This fee applies directly to resale timeshares. Transfer fees are determined by the resort and will vary depending on what resort you are buying. What sizes of accommodations are available? A fixed week is ownership of a specific week of usage each year. The first week of the year will be designated as week #1, and the last week of the year will be week #52. A floating week means that the week you own is not a pre-determined week. A floating week guarantees you one week within a certain time period based on what season rating your membership is. Each year, you contact the resort and reserve the week during your season that you would like to use. If you plan on exchanging your floating week, you will need to make a reservation before you deposit your week with the exchange company. A point system is a vacation ownership in which you own points that represent the quality of the unit you will have. More points translate into higher season ratings, larger accommodations, and better trading power. For example, a low season studio unit may take 100 points to reserve the time, but a high season two bedroom unit may require 300 timeshare points. Most systems will allow you to borrow from future years or to carry over unused points to the next year. Lock-off units may be divided into two or more smaller units for exchange or usage purposes. For example, a two bedroom lock-off may be divided into a one bedroom and a studio, or some other configuration which the particular resort will provide. Usually one of the units is used for exchange purposes giving the owner the ability to vacation an additional week each year. Remember that you will no longer have the use of your large unit, but it will be in two or more smaller units. A deeded property is one in which the property title does not expire. Once you own it, it's yours until you decide to sell it, much like home ownership. Deeded properties may also be passed to your heirs. What is leased or certificate property? A right to use your timeshare for a specified number of years. At the end of this period the property reverts back to the developer. Some resorts allow accelerated usage which means that you may borrow usage from future years. to do so you will normally pay the maintenance fees for the accelerated usage. How soon after purchase will I get my deed/certificate to the property? The usual time frame is ninety to one hundred and twenty days. There are exceptions to this, as some counties take longer to process transfers. We do keep you informed about the circumstances and any situation which may cause a delay in transfer. Yes. Once you are the legal owner of a timeshare week, you may sell it at any given time. How soon may I use it after purchasing? What are the benefits of each company? The benefits of RCI and II are essentially the same. They both give you an annual listing of all resorts. They both have a quarterly or bimonthly update magazine. They both offer a "members only" travel agency. Both offer last minute getaways at a very reasonable price without having to give up your deposited week and both offer excellent customer service. Do RCI and II own the resorts? No. Neither do. As they state in RCI's resort directory, "(We) offer (our) services to owners at resorts with which we have an affiliation agreement."